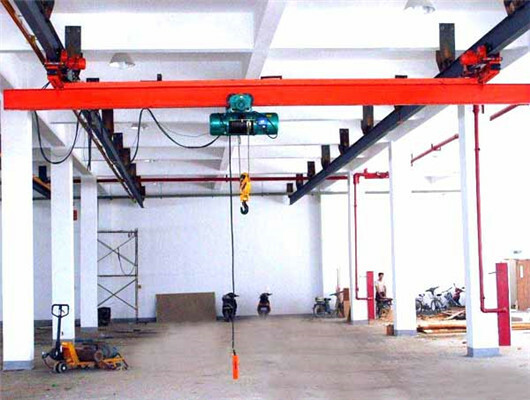 Garage overhead crane is the mechanical equipment that is widely used to lift various objects in garage. In modern industrial production, it is one of the important equipment that reaches the mechanization and automation of the production process. The crane reduces the heavy physical labor and improves the production efficiency. Our company serves customers of multiple fields related with lifting equipment. 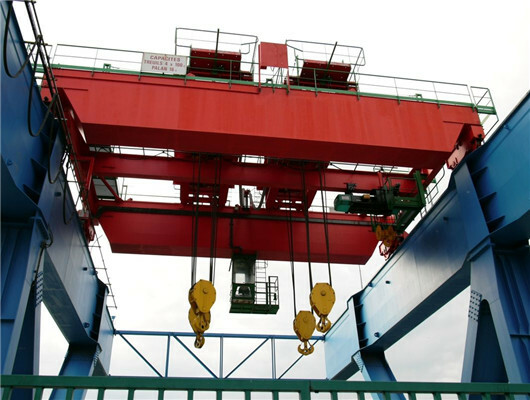 Weihua provides customers with efficient lifting solutions. At the same time, we can provide the professional maintenance and renovation services for various industrial cranes. 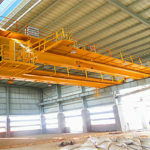 We adopt the domestic unique technology and reasonable structure to produce the garage crane according national standard. The entire crane has many advantages including easy operation, low noise, simple structure, safety and reliability. Although it is widely used in the garage, if you have special need, the crane can be used in other working sites. 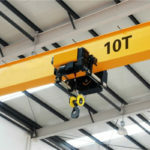 If you want to purchase the overhead crane out of the range, you can call or email us. We can provide you with non- standard design. Welcome to contact us as soon as possible. The product works together with electric hoist as a completed set. Owing to the reasonable structure, the crane has good performance with safety and reliability. It is used in harsh environment at a temperature of -20 to 40 degrees. The main operation method is ground controlling. If the user has other requirements, you can choose remote controller and adds other operation ways. A series of products have first-class flexibility and is suitable for almost any garage sites. It combines into the latest advanced design with durable electronic components and state-of-the-art computer intelligence to ensure the overall operation of material handling. Moreover, some of the garage cranes are customized depending on the specific needs of customers. The modular design provides a wide range of process layouts. it is easy to maintain the operation of lifting equipment. Owing to the full range of speed options, the adjustment of the process flow is very simple. You can choose the right one according to the size of crane. Our company has made small-scale improvements to design equipment and upgrade system. We can quickly implement changes on one or more field devices. Upgrading services can improve crane functionality and reduces downtime caused by repeated failures. As a result, it can reduce their associated costs. According to the plan, the users can complete the commissioning in a short time. 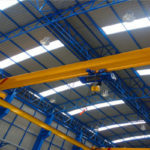 In addition, the new garage overhead cranes can minimize the impact on production. Through the constant innovation and efforts including replacement of hoists or overload protection, as well as other upgrade parts. In this project, crane electrical, mechanical and automation experts will jointly provide customers with complete services. Engineering renovation projects including project planning, engineering design, production stages, and final installation and commissioning has been finished. So, if the customers want to learn more about garage crane, you can contact us. We will provide you with careful details. 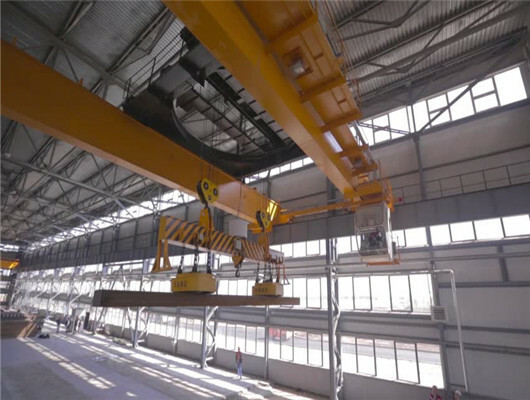 As the world’s leading lifting equipment manufacturer and service supplier, Weihua crane’s modernization projects increasingly attract attention from customers. In addition, it covers many fields. At the same time, our team realizes that the transformation of the equipment is a reliable and effective method. Therefore, at a very small cost and advanced technology, we can reach new productivity and safety standards, which will bring maximum benefits to customers. As we all know, many garage overhead crane suppliers struggle to meet customers’ needs for product growth. In this situation, our group not only keeps up with the tide of science and technology by investing in new technologies in order to maintain our competitiveness, but also has the flexibility, vision, and precision. We can find the best choice for increasing productivity. Some production and manufacturing continue to invest in new technologies, in fact, which is not always the best solution. For suppliers with lifting equipment and advanced technology such as Weihua , we have the responsibility to carefully provide customers with the best solutions according to the existing standards. As the development of overhead crane market, our firm still meets the customers’ requirements. 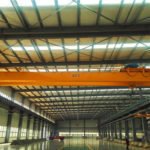 If you are interested in our overhead cranes, you can visit our factory in China. If you have the need of products, we will be an excellent supplier for you. In the lifting equipment components, the electric motor is the core equipment of various components. 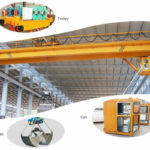 The performance and structure of the electric motor not only affects and determines the speed, efficiency and stability of garage overhead crane, but also connects the box body and transmission system of the crane. The structural connections of the major components are closely related and complement each other. 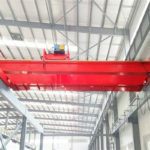 At the present stage, some conventional garage bridge cranes have many disadvantages of large-size, low-precision, single interface form, and unwieldy models, which seriously restricts the upgrading and modernization of construction machinery. We upgrades lifting products and the implementation of lightweight manufacturing of lifting machinery, which are the requirements for the development of modern industries. They are also the inevitable choice for the development of medium and long-term science and technology. For our company’s electric motor garage overhead cranes, we have a high sense of responsibility and always put the quality of our products first. We have been responsible for our customers and products. 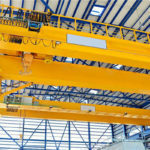 Before recommending design program of any type of overhead cranes for clients, we will adopt performance needs who examine the reliability of the existing construction of the equipment in order to avoid potential safety issues. In addition, we will also study the condition of the parts. Our group gives reasonable advice for customers and recommends them to replace the lifting equipment with the most serious wear. Then, according to the most basic needs, we keep in mind the original materials and structure of the garage cranes. We can give the most cost-effective upgrade solution that meets the needs of the customer. In short, whether it is strengthening product’s ability or renovating parts of lifting equipment, Elllsen always puts the customer first when our group helps them choose the best method. 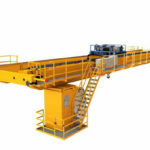 With effective crane, the product is usually possible to maintain or increase productivity. Before you choose the best solution, our experts will provide you with complete planning. In addition, after 30-year development, we are the leading manufacturer and supplier in construction machinery. 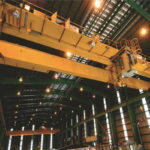 We can provide customers with various overhead cranes such as foundry crane, light duty overhead crane, and heavy duty overhead crane. According to different structure forms, it is divided into single girder overhead crane and double girder overhead crane. What’s more, if you wan to purchase some tonnage bridge cranes or workstation crane, you can get in touch with us as soon as possible. We can product a variety of types of lifting equipment.